An excellent read by Tajudeen Sowole on the Guardian. 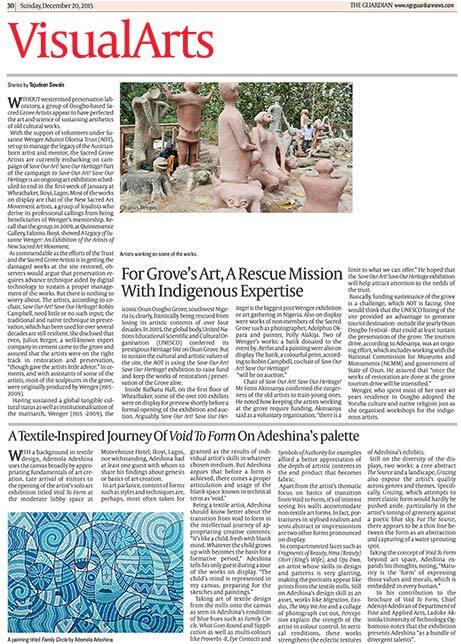 “WITHOUT westernised preservation laboratory, a group of Osogbo-based Sacred Grove Artists appear to have perfected the art and science of sustaining aesthetics of old cultural works. Read the full article on the The Guardian.